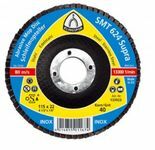 Flap discs are made of alumina zirconia or aluminium oxide coated flaps, fastened equally to glass-fibre reinforced resin backing plates or glass fabric backing plates. The arrangement of the flaps guarantees high flexibility and constant high grinding performance. 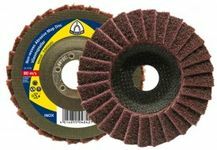 The advantages abrasive flap discs are their low noise level and the constant surface finish until completely worn. 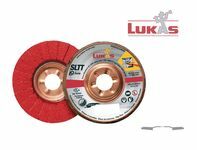 Short set-up times, reduction of the noise level and cool grinding ensure optimum working conditions. 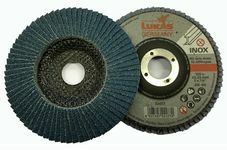 The abrasive mop discs are particularly suitable for rough and intermediate grinding. They can be used on all angle grinders without backing pad.